The flag carrier airline of the Netherlands, KLM Royal Dutch Airlines, has announced that it will cancel its three-weekly service between Amsterdam - Harare - Lusaka - Amsterdam from 28 October 2014. According to the airline, recent optimisations in KLM's network portfolio in East Africa led to the decision to discontinue direct services from Amsterdam to Zimbabwe and Zambia. Reservation for this route closed already on 30 July 2014. Have you ever heard of Stanford, a historic village located just 30minutes from the sea-side town of Hermanus and only about 01:45hrs from Cape Town? If not, have a read through the infographic below a get to learn more about this scenic little village in the Overberg, which has the world's shortest river running through it and is home to the first beer AND wine producing estate in the Southern Hemisphere. South African low-cost airline FlySafair has opened ticket sales between Cape Town and Johannesburg as well as between Cape Town and Port Elizabeth. The first flight between Cape Town and Johannesburg is set for 16 October 2014, while flights between Cape Town and Port Elizabeth will commence on 30 October 2014. FlySafair will charge passengers a base rate which secures a seat on the flight, and allows travellers two pieces of free carry-on luggage (one bag and one personal item) weighing no more than 7kg in total. The airline operates Boeing 737-400's with a seating capacity of 165 passengers per aircraft. FlySafair first opened ticket sales for flights between Johannesburg and Cape Town in September 2014. The maiden flight was scheduled for 17 October 2013. Just days before the first flight, the High Court of South Africa granted an interim court order preventing the airline from starting operations, following an application by rival carriers. Kevin Kok of the snowboarding and videography project hwcls visited Cape Town about a year or so ago and filmed an awesome timelapse video about the city and its surroundings. Switch the video to fullscreen, put your headphones on (Music: Bonobo - Noctuary! ), lean back and enjoy three-and-a-half minutes of Cape Town's finest spots and views! Kudos Kevin! CapeTown Timescape from kevinkok_hwcls on Vimeo. Shosholoza Meyl: Online reservation available again! Great news for all who want to travel by train in South Africa. The long-distance passenger rail service in South Africa, Shosholoza Meyl, now offers an option (again) to make reservations online. To make an online reservation travellers must fill in an online form on Shosholoza Meyl's website, which is then emailed to a sales consultant of the rail service who processes the request and sends the reservation reference number to the traveller via email. Payment for the tickets must be made by EFT (electronic fund transfer) four days prior to departure or in cash at any railway station. Bookings can alternativley still be made by phone (Central Reservations & Enquiries: 086 000 8888). As of 01 July 2014, fares on Shosholoza Meyl (and Premier Classe) long-distrance trains increased on 01 July 2014. Passengers have a choice between a coupe that can accommodate two people and a compartment that can take-up to four people. During the day the compartment/ coupe are suites and at night they are converted into bedrooms, with both having hot and cold water. In addition both have a basin beneath a fold-up table. The comfortable seats all have head and back rests, and offer lots of legroom and overhead luggage facility. The national airline of Zimbabwe, Air Zimbabwe, will resume flights between Harare and Kariba via Victoria Falls from 01 August 2014. The airline last flew to Kariba, located close to the Kariba Dam at the northwestern end of Lake Kariba, about 7 years ago. Air Zimbabwe will operate three flights per week on Wednesdays, Fridays and Sundays on board a Xian MA60 (52 seats in economy class) between the three destinations. According to Air Zimbabwe's acting chief executive Mr Edmund Makona, the airline considers to increase the frequency if demand becomes stronger. Video: "Durban on a Sunday Afternoon"
Have you ever spend a lazy Sunday afternoon at Durban's beachfront? If not, this is what you are missing out... Kudos Micaela and enjoy Durban! Music: Resolution by Matt Corby! Air Namibia: Windhoek <> Frankfurt flights temporary re-routed to Gaborone! update (31 July 2014): I don't get it. What the heck is going on there? For some reasons Air Namibia was allowed to operate its yesterday night flight from Windhoek to Frankfurt from Hosea Kutako International Airport (WDH). The flight from Frankfurt to Windhoek was also operated directly into Windhoek. All operations of today (31 July 2014) will also be as per normal. We'll keep you posted! update (30 July 2014): Air Namibia has issued a press release and confirmed that the downgrade has been re-enforced and that any exemptions that might have been granted have been revoked. To minimise the impact of the inconvenience caused to passengers, Air Namibia will operate Airbus A319-100’s to ferry its passengers between Windhoek and Lusaka. The airline expects to operate in this manner for the next two weeks or until such time. update (30 July 2014): According to Namibian newspaper Allgemeine Zeitung, officials in Namibia have with immediate effect revoked the decision to grant Air Namibia an examption to fly in and out of Hosea Kutako International Airport (WDH) with the airline's Airbus A330-200. Air Namibia's flights between Windhoek and Frankfurt (Germany) are therefore now re-routed to Lusaka in Zambia. We'll keep you posted! update (28 July 2014): According to Air Namibia, the airline received exemption from the Minister of Works & Transport in respect of the requirements for rescue and fire fighting services (RFFS) as applicable to the operation of its Airbus A330-200 fleet into and out of Windhoek's Hosea Kutako International Airport (WDH). Flights between Windhoek and Frankfurt therefore commenced operations as normal effective the evening of 24 July 2014, and there shall not be any further diversions of our flights to Gaborone in Botswana. Namibia's main airport, Hosea Kutako International Airport (WDH) in Windhoek, has been downgraded from Category 9 to Category 5 following an audit by the Directorate of Civil Aviation (DCA) on Namibia Airports Company’s (NAC) facilities. The downgrading implicates that Air Namibia is currently not authorised to operate flights into and out of Windhoek with an Airbus A330-200, which requires a category 8 airport for landing and take-off. The airline is therefore forced to (temporary) re-route its flights between Frankfurt and Windhoek, operated on board an Airbus A330-200, to Gaborone in Botswana. From Gaborone Air Namibia ferries its passengers on board an Airbus A319-100 to Windhoek. Flight departure times remain the same but arrival times vary depending on aircraft availability. Air Namibia expectes that the Namibia Airports Company will execute and rectify the respective shortcomings (inadequacy of fire and rescue equipment), which will result in Hosea Kutako International Airport (WDH) being upgraded to Category 9 again. Good luck! The official Destination Marketing, Investment and Trade Promotion Agency for the Western Cape, WESGRO, has just released a new promo video for Cape Town and the Western Cape. Feeling the wanderlust already? Enjoy! btw - the music is by Goodluck! Tanzania-based low-cost airline Fastjet has announced the increase of flights between Dar es Salaam (DAR) and Mwanza (MWZ) and between Dar es Salaam (DAR) and Lusaka (LUN) in Zambia. From 01 August 2014 the airline will be adding four return flights per week on the route linking Dar es Salaam (DAR) and Mwanza (MWZ). These extra flights will operate on Sundays, Mondays, Fridays and Saturdays, bringing the total number of return flights each week to 25. From 17 August 2014, Fastjet will also operate an additional return flight on Sundays between Dar es Salaam (DAR) and Lusaka (LUN), bringing the number of flights linking Tanzania to Zambia to four per week. Cape Town's Table Mountain Cableway will be closing for scheduled annual maintenance required to meet the highest global cableway standards set by the Bundesamt für Verkehr (BAV), the swiss governing body for cableways. 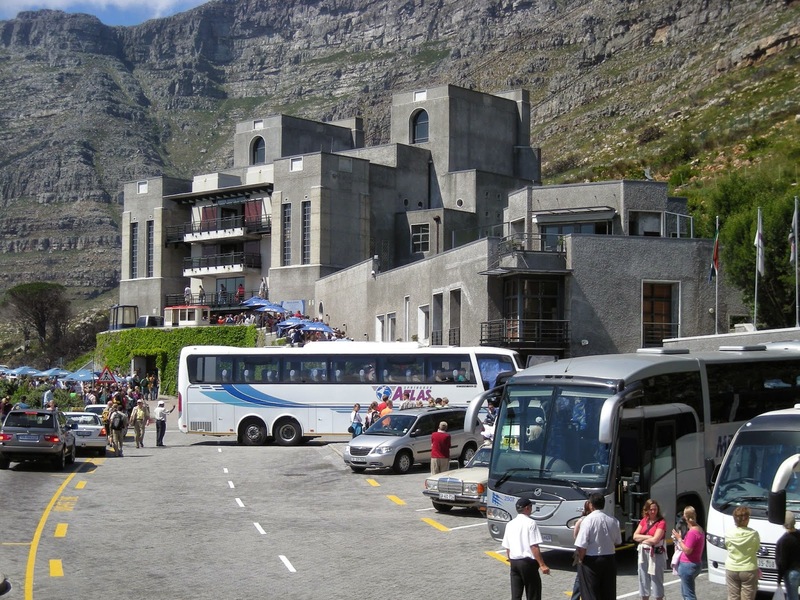 In 2014 the Table Mountain Cableway will be closed from 28 July 2014 to 10 August 2014 (if weather permits). Namibia: Two new conservancies approved in the Zambezi Region! Namibia's Ministry of Environment and Tourism (MET) approved two new conservancies in the country's Zambezi Region, formerly known as Caprivi Region. 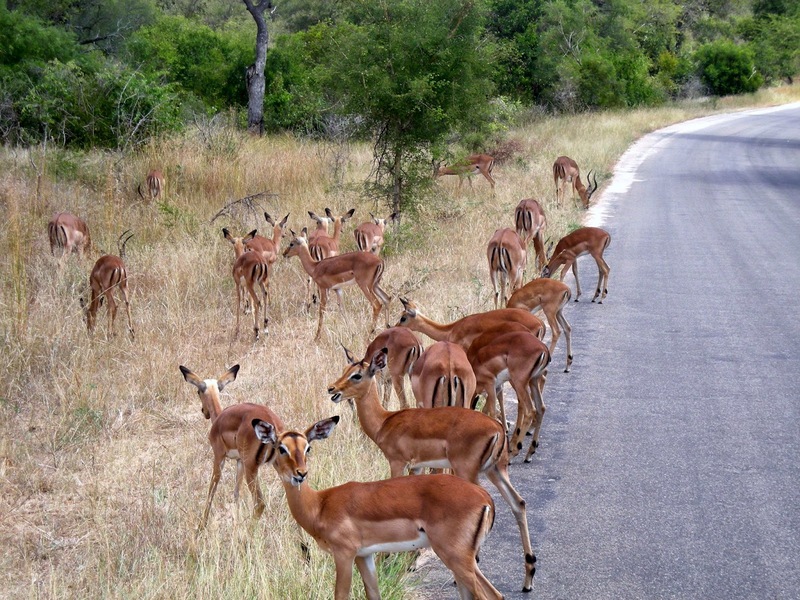 According to Deputy Minister of Environment and Tourism, Pohamba Shifeta, the new Lusese and Nakabolelwa conservancies, which are located in the Kabbe North and South constituencies of the Zambezi Region, will possibly be gazetted by the beginning of August 2014. The two new areas are bringing the number of registered conservancies in Namibia to 81. Lufthansa ups seasonal capacity to Cape Town! Great news for Cape Town and South Africa. Germany's flag carrier, Lufthansa, will up the capacity of its seasonal non-stop service to Cape Town for the South African summer season. From the end of October 2014 the airline will be operating an Airbus A340 600, which adds about 30% more capacity to the route, between Germany and Cape Town. According to Lufthansa's Vice President Middle East, Africa & Southeast Europe, Tamur Goudarzi Pour, the increase in capacity comes after the demand for direct flights from Europe to Cape Town has increased. Uganda's quasi national carrier, Air Uganda, has announced an indefinite suspension of all operations. This follows the withdrawal of International Air Operator Certificates (AOCs) from all airlines registered in Uganda, by the Uganda Civil Aviation Authority (CAA) on 17 June 2014. On 03 July 2014 the airline was therefor already forced to (by that time) temporary suspended all its international flights, including Nairobi, Mombasa (Kenya), Dar es Salaam, Kilimanjaro (Tanzania), Bujumbura (Burundi), Kigali (Rwanda), Mogadishu (Somalia), and Juba (South Sudan). Passengers holding valid Air Uganda tickets should contact Air Uganda (or their travel agent) to get a refund. According to news reports from Zimbabwe, the Victoria Falls Steam Train Company has temporarily suspended its operations following a recent collision with a National Railways of Zimbabwe (NRZ) goods train. The company canceled all services to allow a team of experts to investigate the cause of the accident. On 01 July 2014 the tram of the Victoria Falls Steam Train Company, carrying 32 tourist and 5 crew members, collided with a goods train near the Victoria Falls Hotel in the resort town of Victoria Falls. The crash left one tourist dead and 20 others injured. The Victoria Falls Steam Train Company offers a variety of memorable trips aboard an authentic steam train across the historical Victoria Falls Bridge and into the neighbouring Zambezi National Park, all commencing from the company's base in Victoria Falls, Zimbabwe. South Africa's flag carrier, South African Airways (SAA), has been named Best Airline in Africa for the 12th year in a row in the Skytrax World Airline Awards 2014. Air Mauritius was named second best airline in Africa, followed by Air Seychelles. South African budget carrier Kulula, the low-cost airline subsidiary of British Airways franchise Comair, gained the eigth highest passenger satisfaction ratings, while Mango, also a South African low-cost carrier, was voted ninth best airline on the continent. South African Airways was also named winner in the category "Best Airline Staff Service in Africa". The category "Best Low-Cost Airlines in Africa" was won by Mango, followed by Kulula. The Skytrax World Airline Awards are based on customer responses to a survey which is run over a period of 10 months (August 2013 - May 2014). 18.85 million customer surveys were completed during that period. The survey, which covered over 245 airlines, measures passenger satisfaction across 41 key performance indicators of airline front-line product and service - including check-in, boarding, onboard seat comfort, cabin cleanliness, food, beverages, inflight entertainment and staff service.